While some of the concepts promoted in the Thrive Movement video might catch you off guard, it is a lot of what we have been talking about on GreenJoyment since this site started. 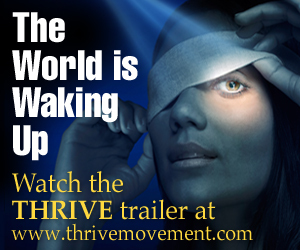 The Thrive Movement video is 2+ hours long, but if you have any interest at all in seeing a peaceful and decentralized way forward for humanity (seriously… it’s that big), block some time out and watch this 2+ hour movie. The visuals are beautiful, the concepts well-presented, and many of the ideas are ones we’ve been sharing with you for years.